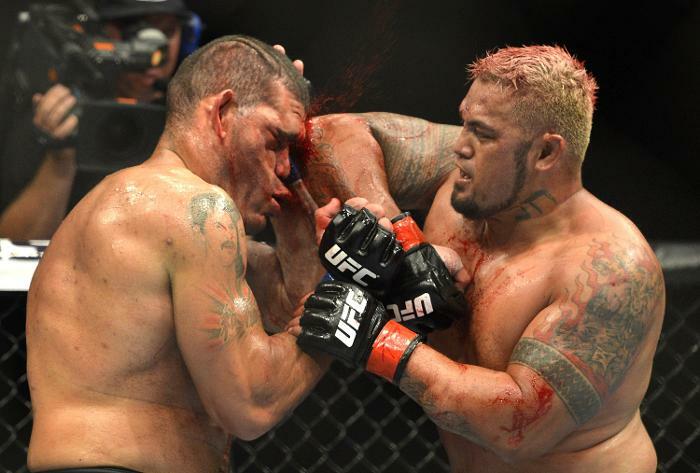 What fight card has been the bloodiest? Discussion in 'UFC Discussion' started by Luger, May 20, 2014. I had never wondered how bloody the cage floor was. Made me wonder what card has been the bloodiest? Wait, ufc 160 was the rematch right? Its in their FIRST fight that Cain cut Silva on the forehead. 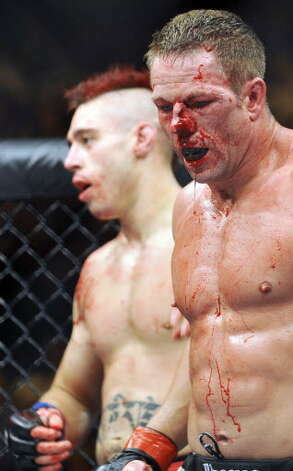 The blooddrench at ufc 160 came from Stephens vs Payan. Correct. 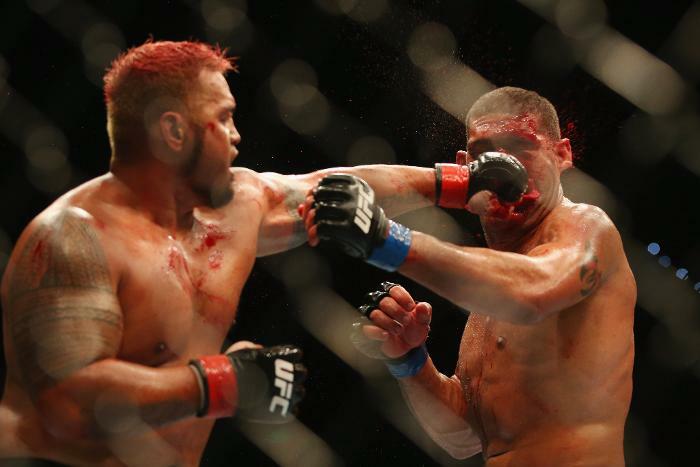 Bigfoot was never bloody in the rematch. I think they were using that pic as a (tongue-in-cheek) way to promote the rematch. Like, "This is what happened the first time--tune in to UFC 160 for the rematch!" Poor Stevenson. Bj stole his soul. He fell off horribly. Yup, he ran into a right hand from Cain and got dropped. 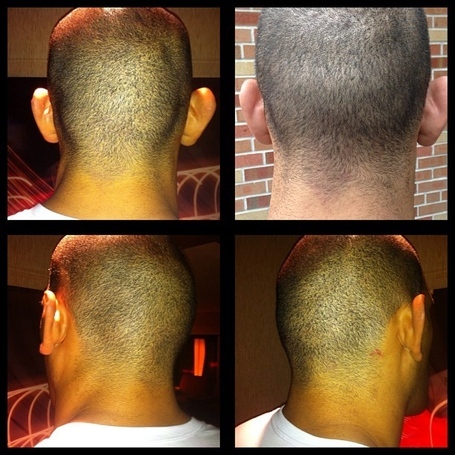 Then he posted a bunch of horrific, graphic pics showing barely visible spots on the back of his head to make us believe that Cain finished him with illegal shots. 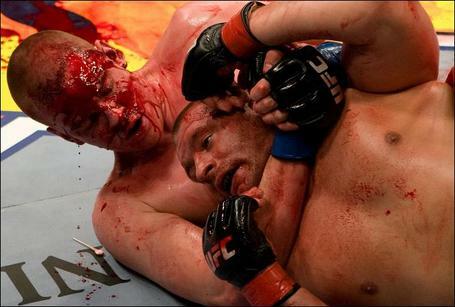 I remember Kos - Lytle being incredibly bloody at UFC 86. UFC 100. Coleman busted Bonnar up pretty bad and Mac Danzig fought someone I can't recall, but Danzig got his wig split and smeared all over the canvas. Hence why Hendo/Bisping looked like they fought in the Manson family living room. the mat that ended up the bloodiest was the one with the Lauzon-Miller fight. Though the rest of the card wasnt particularly boody. Edit nevermind brahs. Read the TS wrong. Yep... Lauzon-Miller is the right answer I think. J-Lau is a damn warrior. Great fighter... Jim is the man! !